With 2 dispensing methods (electric or air pump dispenser), this 101 oz. 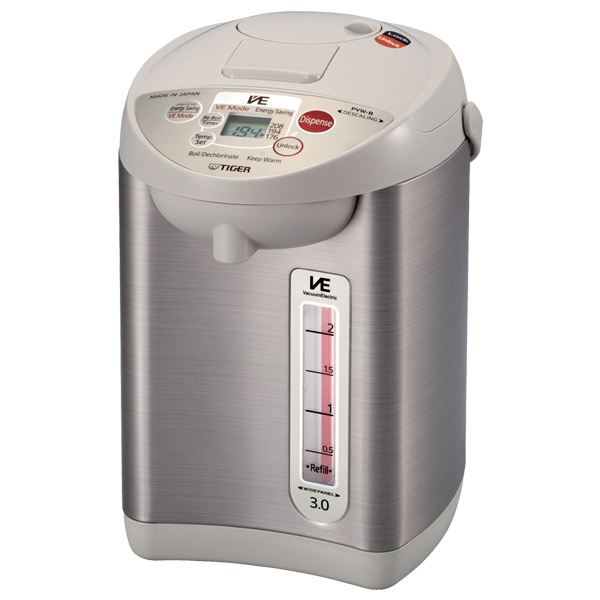 (3 liter) water boiler/warmer has a micro-computerized temperature control to set the water temperature (208°F /194°F / 176°F) according to your needs. 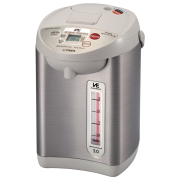 The Vacuum Electric (VE) and Energy Saving modes will maintain water temperatures with minimal energy usage over multiple time settings (6 – 10 hours). The auto-lock system and the easily removable power cord makes it safe to use around children as well. The stylish stainless steel design will be a perfect fit in any kitchen.